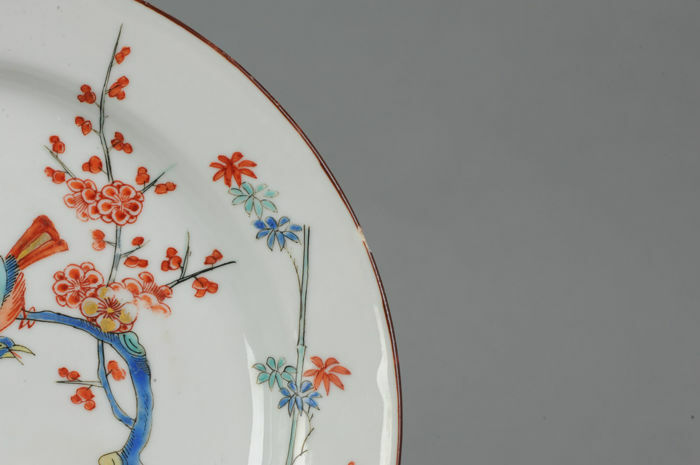 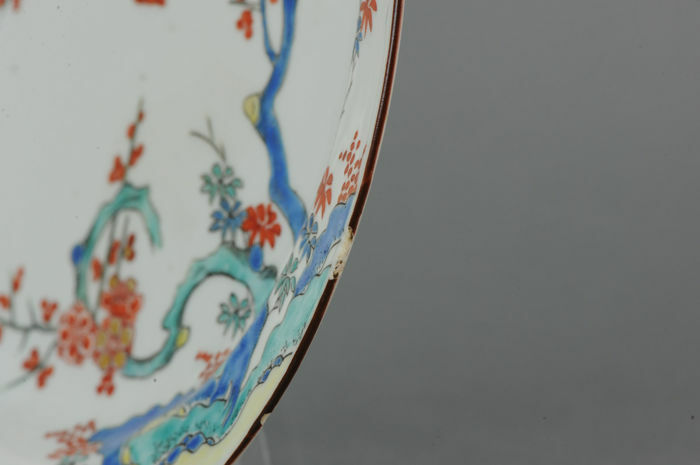 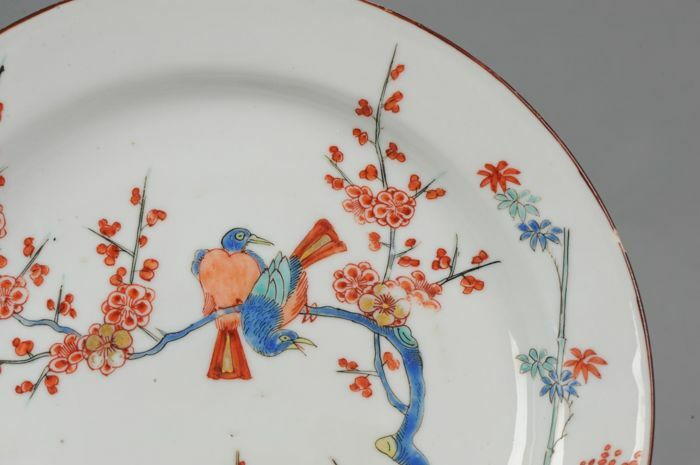 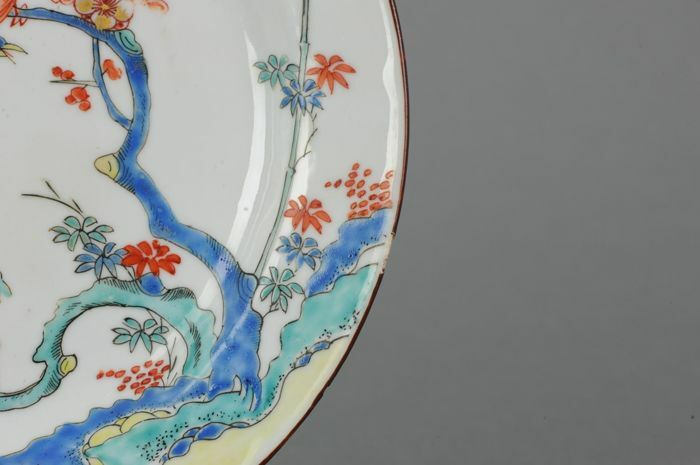 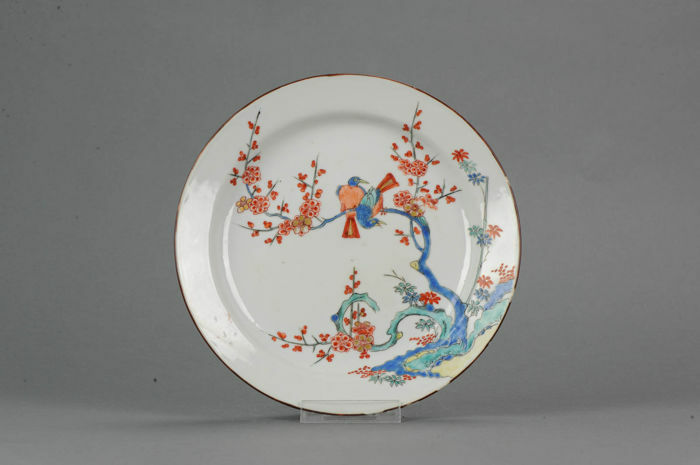 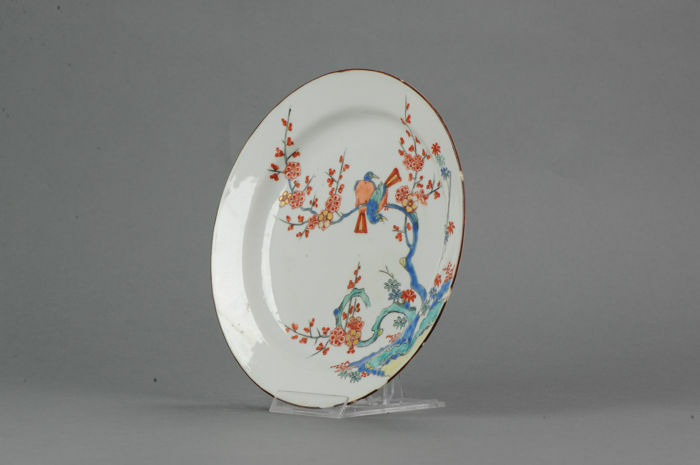 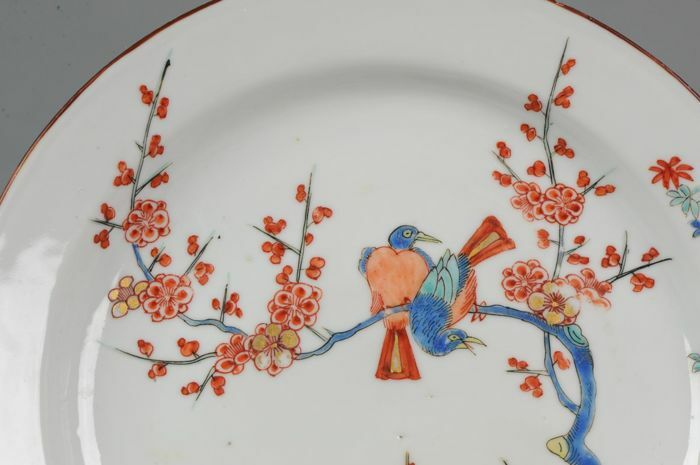 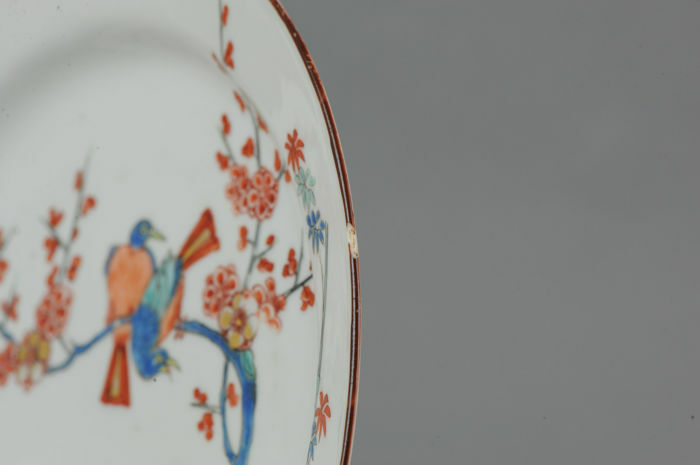 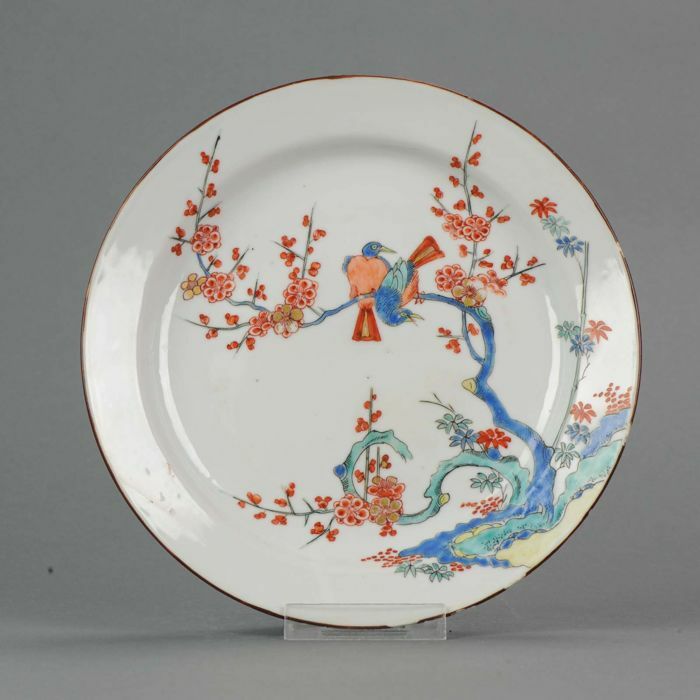 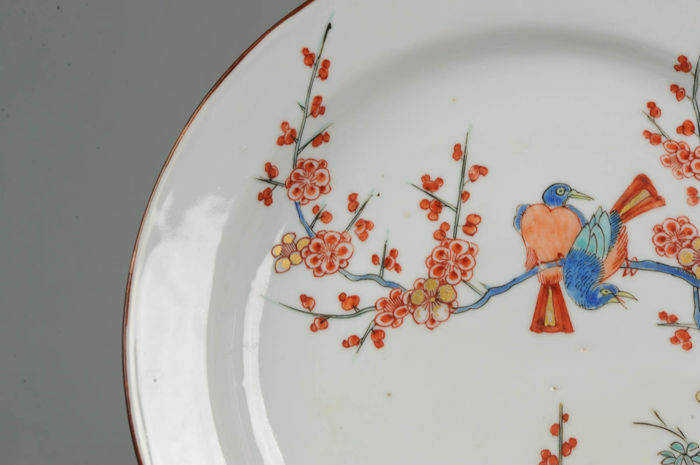 A Japanese Kakiemon-style bird-and-flower painting has been used here by a Dutch painter to decorate a Chinese porcelain blank. 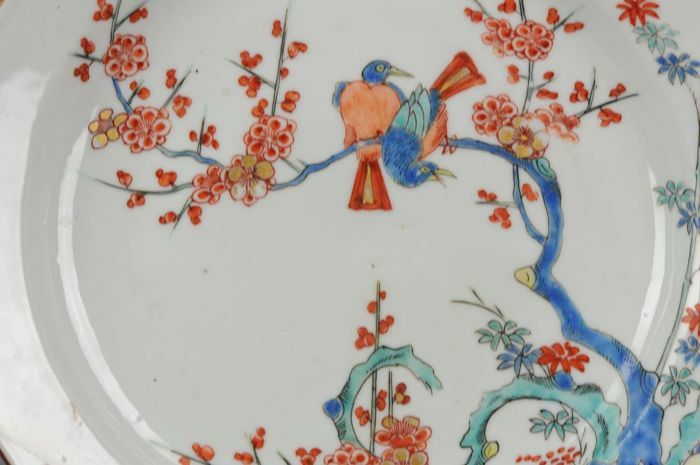 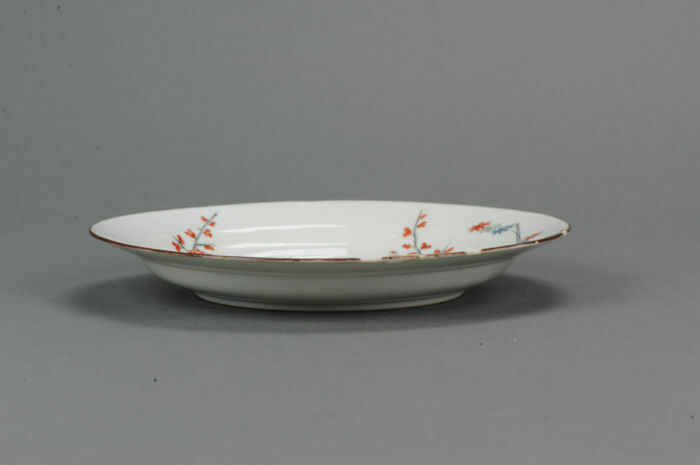 The grouping of a pair of magpies, plum blossoms, and bamboo is a traditional Chinese image, which forms the rebus "the couple delights in double happiness" (zhumei shuangxi). 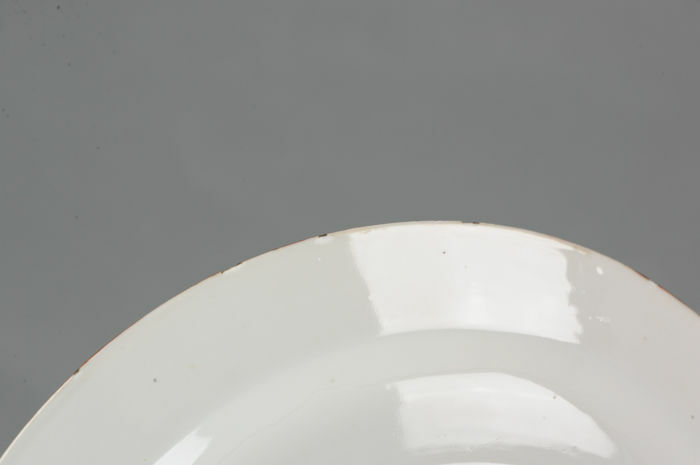 The scene and quality of paintting is amazing. 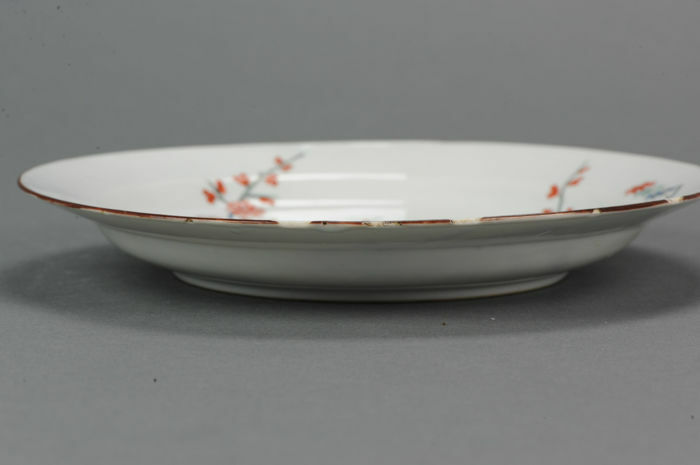 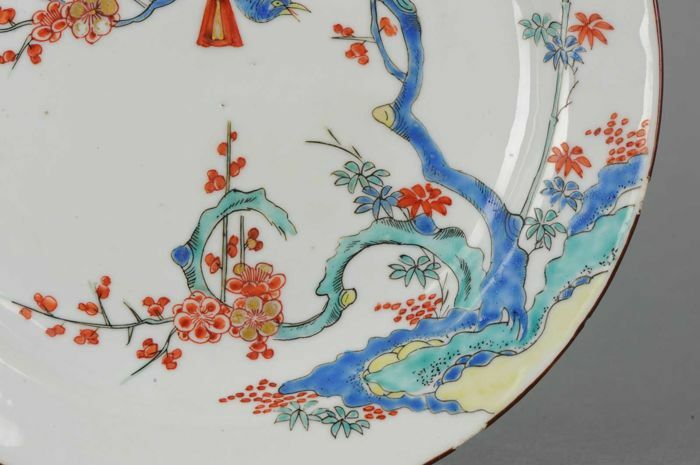 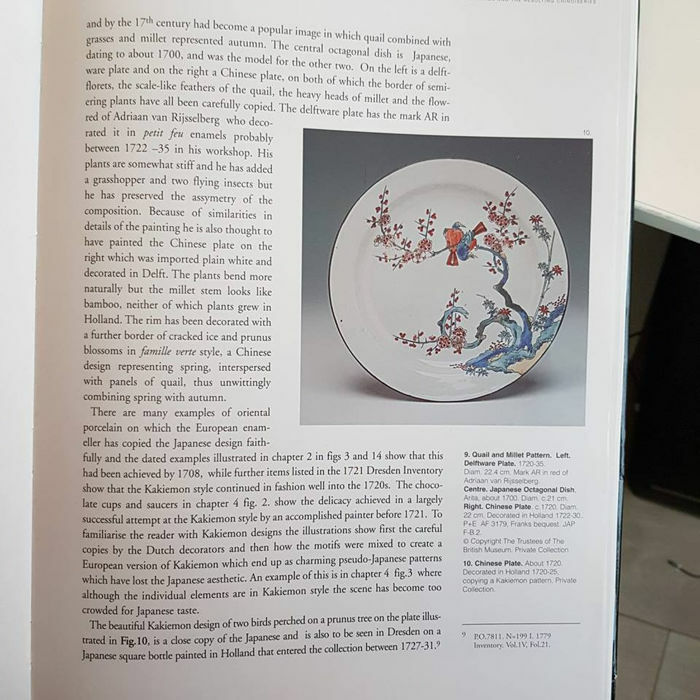 European Decoration on oriental porcelain, 1700-1830, Helen Espir, page 79. 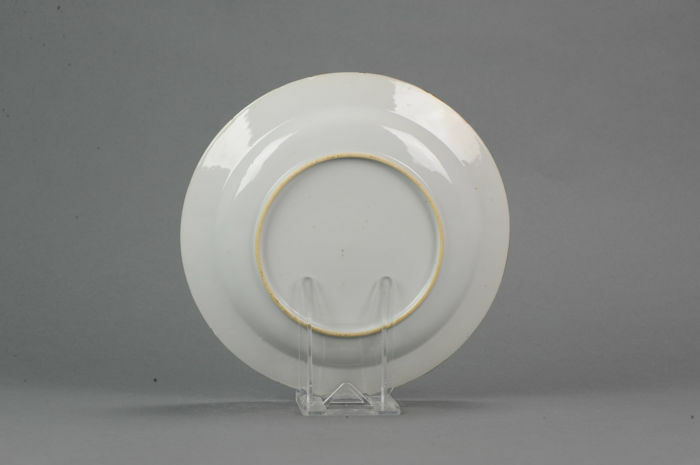 All will be packed neat and sent track and trace and insurance. 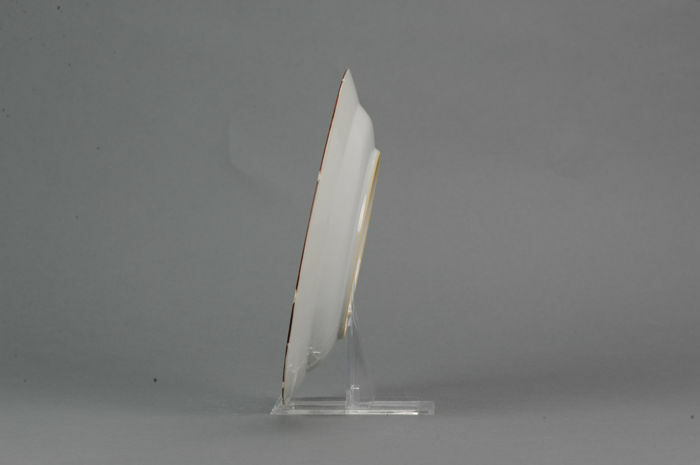 Registered airmail Packages are always shipped on the next wednesday. 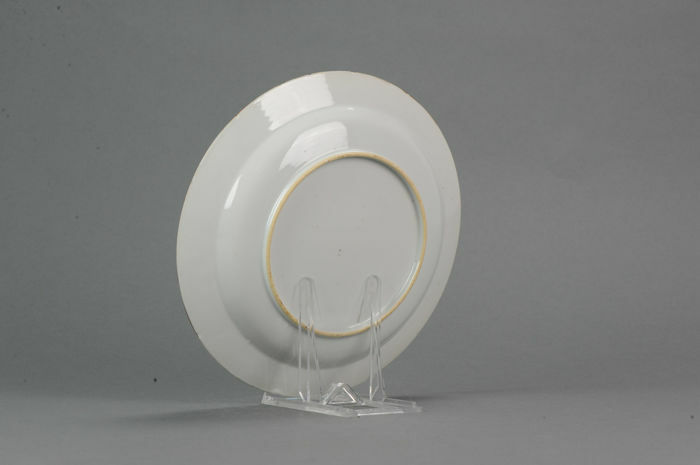 If there is a specific hurry please contact us.